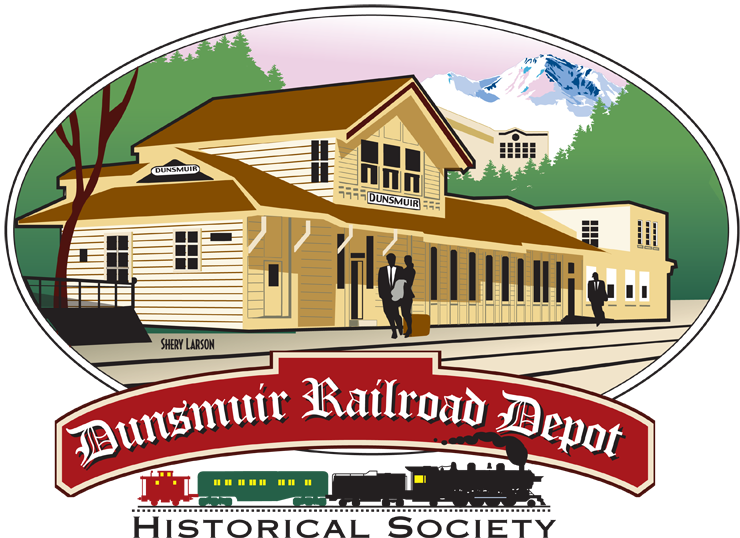 The Dunsmuir Museum and its Railroad Display Room will reopen April 18th from 10am-2pm! The Depot’s bathroom has a new sink to replace the old one. We are looking to have roof repairs done due to many water leaks. The Yreka Goodwill folks visited the Museum in February; they enjoyed seeing the crew change that morning too. For your information, the 2014 Dunsmuir Amtrak ridership was 5,892 with annual station revenue of $367,994. Have you renewed your 2015 membership? Visit our contact to show your support! April 18th Dunsmuir Museum reopens, 10am-2pm. Town’s history, Native American Basket Collection and extensive arrowhead collection featured. April 25th Fishing Season Opening, see the Museum’s “Golden Era of Fishing” exhibit during our open hours of 10 AM to 2PM. May 23rd 7th Annual Pie Social, 10 AM until pies are sold out at the AMTRAK Depot Parking lot. We had 190 donated pies last year. Call Phyllis at 530-235-0839 to donate your pie(s). June 12th-14th Railroad Days, The Museum will be open 10am-4pm. The Depot Society is sponsoring the Amtrak Exhibit Train as one of the first cities to celebrate AMTRAK’s NEW EVENT – “AMTRAK TRAIN DAY” during our annual Dunsmuir RAILROAD DAYS. The Exhibit Train will be open only on June 13th from 10 AM to 4 PM. Come and learn about Amtrak’s history and its future. Amtrak asks, “Can you hear the sound of a whistle?” That’s the Amtrak Exhibit Train traveling to communities across the country. The Exhibit Train is the cornerstone of Amtrak’s community outreach program, welcoming visitors to climb aboard and tour a free exhibit. Displays include vintage advertising, past menus and dinnerware, period uniforms, photographs, and other items of memorabilia from Amtrak’s creation in 1971 to a model of today’s modern-sleeping accommodations and high-speed rail service displays. Interactive displays include railroad horns, trivia questions, workable signals and an engineer’s stand. July 18th Annual Raffle Fundraiser – Ticket Drawings at 1:30pm. Grand prize is “Enjoy Dunsmuir” for one night stay (for 2) in a Railroad Park Resort Caboose and gift certificate at their Dinner House & Lounge and gift certificates at the Cornerstone Bakery & Café and Sengthong’s. Also being raffled are a Gypsy Rose Quilt and a Norman Rockwell Fishing quilt. Tickets are $1 each or 6 for $5. Please send your check with ticket stubs, name and phone number to: P O Box 324, Dunsmuir 96025. Winners need not be present to win. Thanks to our Dunsmuir business owners and quilters for their donations. October 10th Art Walk – The Museum and Display Room will be open from 2PM – 5PM and will feature local artists. Refreshments will be served. Please note that the Mount Shasta Sisson Museum has a “Railroading ‘Round the Mountain” exhibit that began March 14th. Check their website for additional details. We look forward to seeing you at the Museum, and thank you for your continued support of the Dunsmuir Museum and the Dunsmuir Depot! What happened to the “Steam RR Co”? Many that lived on Sacramento Ave, in the 1940’s worked there, according to the 1940 census. 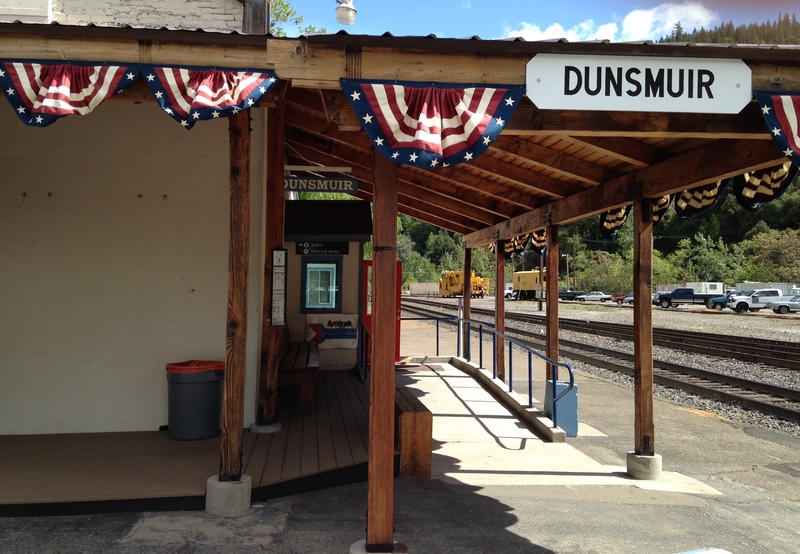 Thank you for your question about Dunsmuir, a historical railroad town. We don’t know of a Steam R.R. Co. The only railroad company associated with Dunsmuir was Southern Pacific. Since all the railroads in 1940 were steam, that’s probably what they’re referring to. There were other railroads which were logging railroads in the area but they belonged to the logging companies. We might suggest the following books on Dunsmuir railroads: Steam Days in Dunsmuir by Robert J Church and Southern Pacific’s Shasta Division by John R Signor. Perhaps your library can obtain a copy for you. Also the Dunsmuir Centennial published a book for that event. Unfortunately, I am not in Dunsmuir now but can check your family’s names when next we’re in Dunsmuir, late May. The book has family histories. The Dunsmuir Museum’s Railroad Display Room has a listing of railroad workers that I can check also.